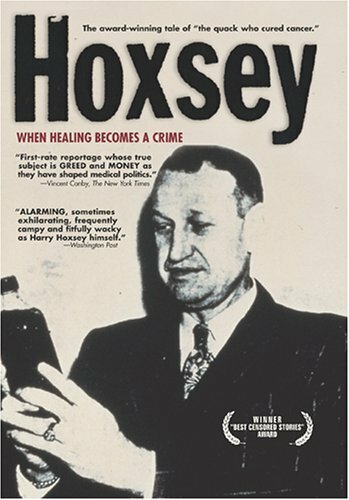 Hoxsey's supporters point out he was the victim of arrests, or "quackdowns" spearheaded by the proponents of established medical practices. Interviews of patients satisfied with the results of the controversial treatment are balanced with physicians from the FDA and the AMA. A clinic in Tijuana, Mexico claims an 80% success rate, while opponents are naturally skeptical. What is apparent is that cancer continues to be one of humankind's more dreaded diseases, and that political and economic forces dominate research and development.